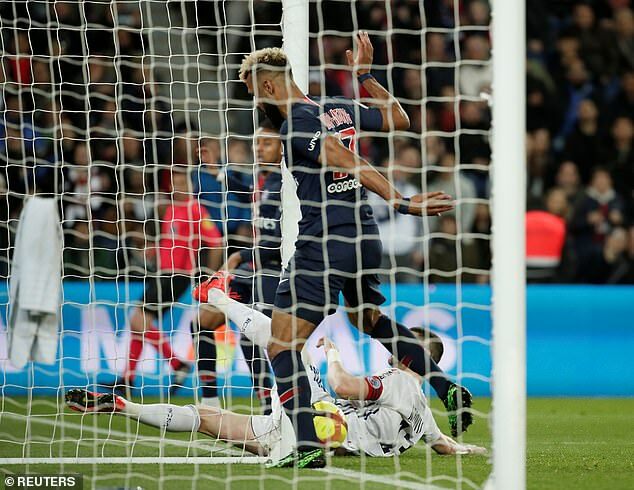 Kylian Mbappe has reached out to console Paris Saint-Germain team-mate Eric Choupo-Moting over his horrendous miss on Sunday evening. The former Stoke striker was handed a rare start for Thomas Tuchel’s side when they faced Ligue 1 strugglers Strasbourg at the Parc des Princes. Victory would have seen the capital club wrap up the title, and Choupo-Moting got his side off to the perfect start when he opened the scoring after 13 minutes. Things took a turn for the worse however, when the striker was presented with the chance to restore his side’s lead after Nuno Da Costa had pegged them back. 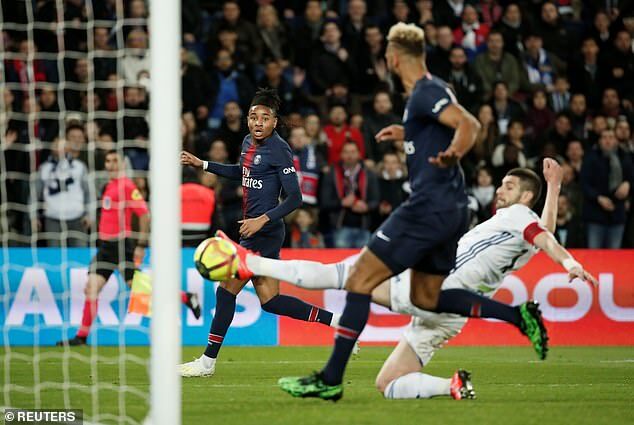 Christopher Nkunku dinked a shot past the Strasbourg keeper that was goalbound and sailing over the line, when Choupo-Moting decided to intervene. Looking for his second of the evening, he attempted to tease the ball over the line, but only succeeded in stopping the ball right on the goal-line, much to everyone’s amazement. 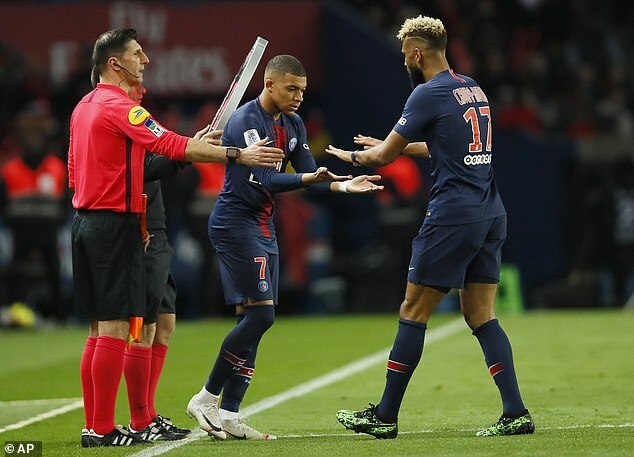 It was a moment that ultimately stopped PSG claiming their eighth Ligue 1 crown on the evening, but despite the howler, Mbappe – who replaced Choupo-Moting in the second half – was keen to show unity with his fellow forward. Tagging his team-mate in an Instagram post, Mbappe wrote: ‘Shame about the title tonight, we tried to do what we could. His boss Tuchel also offered his support after the game on Sunday evening. He told reporters: ‘I think he’s lacking confidence. He’s not here to start every game but he is at the moment because we have a lot of injuries.